Professor Geoff Maitland (Immediate past-president of IChemE and Chair of Energy Engineering at Department of Chemical Engineering, Imperial College London) visited the School on 14-16 October 2015. 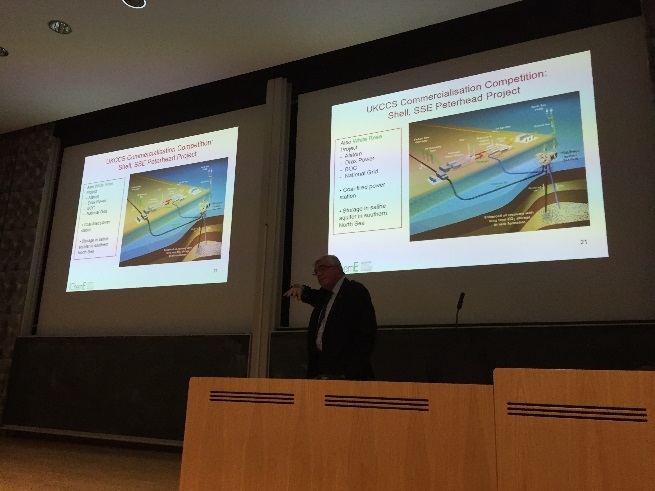 On the occasion of the 60th year of Chemical Engineering Discipline at Edinburgh, he was invited to give the Inaugural Chemical Engineering Diamond Jubilee Keynote Seminar. Prof Maitland in his talk emphasised that fossil fuels are here to stay as we will continue to rely on them even during second half of the century. He forecasted how the energy landscape might evolve over the coming decades and highlighted the difficult but crucial challenges we face in order to continue using fossil fuels. He also expressed his personal view on what needs to be done to meet challenging carbon mitigation targets to avoid the consequences of catastrophic climate change, whilst continuing to use fossil fuels. He stressed technological and scientific innovation but most importantly political courage as key drivers to help achieve a low-carbon fossil fuel future. Prof Maitland paid rich tributes to Prof Kenneth Denbigh, who founded Chemical Engineering as a discipline at the University of Edinburgh and was the first Profssor of Chemical Technology (as it was called then) jointly at the Universities of Edinburgh and the then Heriot-Watt College. 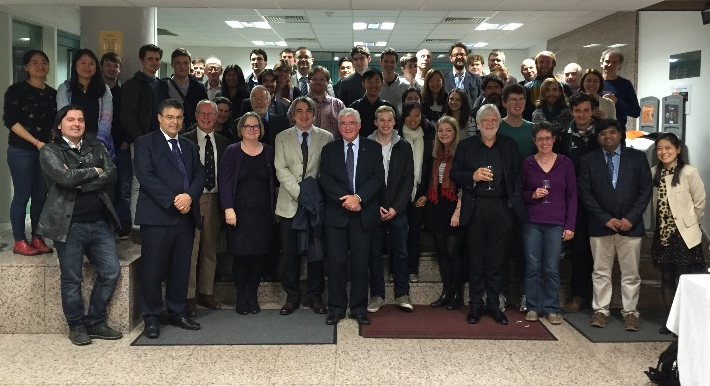 Prof Maitland also had discussions with the Chemical Engineering academic staff and a number of undergraduate and postgraduate (PhD) students. He was also shown several research facilities in Engineering such as the Multiscale & Multiphase Simulation Group, Multiphase Flow and Heat Transfer Lab, Adsorption Research Industrial Consortium Lab, Process Engineering Lab, Carbon Capture Group and the Scottish Microelectronics Centre. He also made a short visit to the School of Chemistry. "It is a great honour to be invited here to Edinburgh to launch your Diamond Jubilee celebrations for Chemical Engineering. You have a rich heritage and can be rightly proud of what you have achieved. Yet the health of Chemical Engineering here has probably never been brighter than it is now, attracting first-rate students from both the UK and across the world. You are recognised for your world-leading research and I have been really impressed with seeing that first-hand during my visit. These are exciting times for Chemical Engineering, with record numbers of students wanting to study the subject, and Edinburgh is at the forefront in both teaching and research. There are particular strengths in my own area of cleaner fossil fuels and carbon capture and storage (CCS), and energy research generally. I am convinced that for most of this century we will need to have a balanced decarbonised energy mix consisting of fossil fuels + CCS, renewables and nuclear, with major improvements in energy use efficiency. Chemical Engineers have a major role to play in not only achieving this technically, but in advising and informing both governments and the public on the difficult choices that need to be made and the inevitable increases in the cost of keeping atmospheric CO2 levels below 450ppm in order to avoid the worst effects of climate change." This Pint of Science video is of a similar talk given earlier this year.